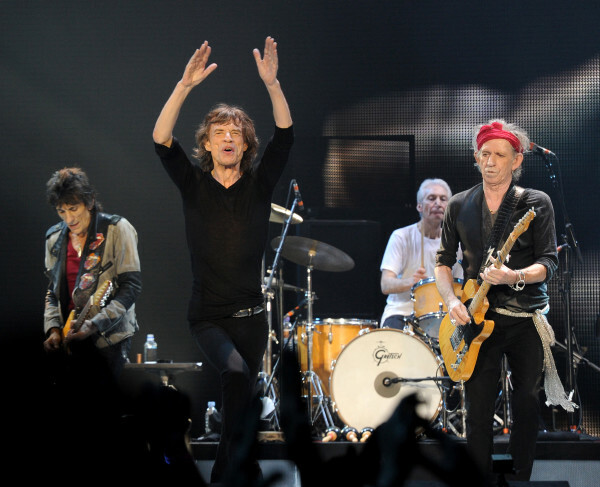 As expected, The Rolling Stones have announced dates for a spring North American tour. The tour debut will be followed by performances in Oakland, San Jose, Las Vegas, Anaheim, Toronto, Chicago, Boston and Philadelphia. Tickets for Oakland, San Jose, Toronto and Chicago go on sale beginning Monday, April 8 at 10AM local time and will be available at www.rollingstones.com. The stage design for the tour is based on the band's ubiquitous tongue and lips logo, which extends out into the crowd, allowing the Stones to interact directly with their audience. Known for their ground-breaking sets and use of cutting-edge technology, the Stones' set design will feature video screens and special effects that will enhance the high-octane experience of attending a live Stones' show. The band will also play London's Hyde Park on Saturday, July 6 following a headlining appearance at UK's Glastonbury Festival on June 29.